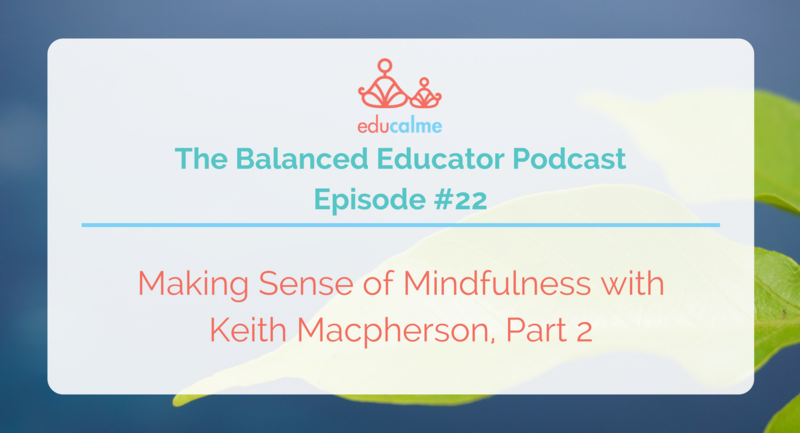 In this episode of The Balanced Educator Podcast, we’re continuing our interview with Keith Macpherson. Keith is a mindfulness trainer, life coach and author of the new book, Making Sense of Mindfulness. Through his work in the field of mindfulness, Keith has created a five principal framework to assist the masses in comprehending the buzzword “mindfulness” and integrate this practice into their daily lives. In this episode, Keith explains the five principles in his mindfulness framework. Principle 1: Everything begins as an inner dream. Principle 2: Expose the saboteur. Principle 3: Open your mind. Principle 4: Be mindFULLY aware.